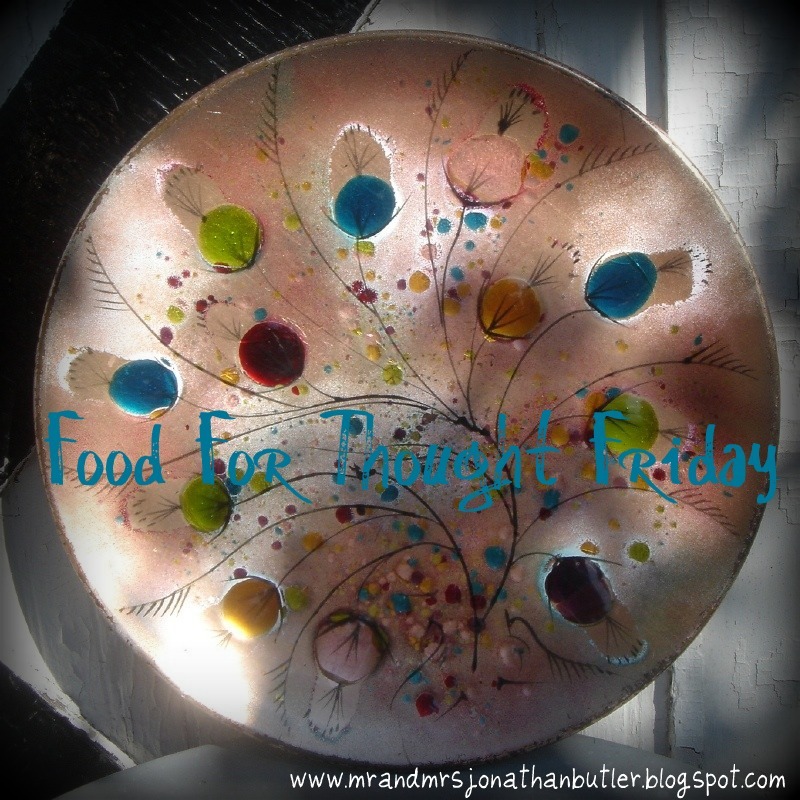 Butler, Party of 4: Food For Thought Friday: What are you doing for Christ?? Food For Thought Friday: What are you doing for Christ?? I haven't posted a Food for Thought Friday blog post in a while, and this has been on my heart lately. We KNOW that God gave the ultimate sacrifice for us; His son nailed to a cross to cover our sins. We know that, and we claim to love him and follow Him. But what are we actually DOING to show that love? We know from our earthly relationships that you can't just SAY you love someone....you have to demonstrate it through your actions. Think about when we first fall in love. We are so mushy gushy obsessed....we think about that person all the time, talk about him to everyone we know, spend time with him, etc. Why don't we do that same thing with Christ? He's our go-to man when we're in trouble, but ya know friends, that's not quite good enough. He should be the center of our life, and everything else should revolve around our relationship with HIM. I'm writing this for myself tonight. But if you're real with yourself, are you happy with your answer to the question "What am I doing for Christ to impact eternity?" More importantly, would HE be happy with your answer? The sad reality is, most of us aren't doing much. Can you imagine what this world would look like it Christians acutally did something to glorify God every day?? Wow. It's the least we can do, considering His perfect sacrifice. Hi pretty girl :) I would love for you to guest post on my blog! I need a few more posts since I'll be gone so long- email me at FitFierceFabulous@gmail.com for more details! I LOVE your blog too! your wedding photos are GORGEOUS! maybe you can help me plan my wedding (whenever that happens) haha! xo have a wonderful saturday! I have a book recommendation: Radical, by David Platt. He speaks exactly to this topic. He was actually on the Fish this morning & I thought about you because I remembered you saying you were reading it. It's DEF on my reading list... :) I've heard awesome things about it. How about you write a blog post on your reaction to it to give me a little insight till I'm able to get to it? ?